Post-scriptum: I had this post prepared for ages, but somehow I never posted it. Seeing how this game is available for free on Playstation Plus in November, now’s as good a time as any to recommend this wonderful little game! I’ve said it time and again: We haven’t reached the bottom of the Jacques Cousteau-ian underwater world that is videogame storytelling. Sure, we are building increasingly more complex devices that allow us to dive deeper and deeper, but the true essence lying on the bottom of the barrel? Not yet. I’m not going to say Everybody’s gone to the rapture by the wonderful people at Chinese Room (well, I guess they’re wonderful because I believe in the good in people) is a revolution. It’s not. But it’s a wonderful storydriven game fueled by something most developers seem to forget: Genuine human emotion. Everybody’s gone to the rapture takes place in an abandoned village. Somehow, everyone’s just gone up in smoke – and it’s your job to find out what happened. Actually, calling it a job is saying a bit much. All you do it walk around and discover story tidbits that allow you to piece together the game’s bigger narrative. Angry internet nerds, of which there are quite a few, mockingly call this game a “walking simulator” – a game in which you walk around until things happen. You can’t die, you can’t lose – nothing gameplay-related is at stake, just the elements of the story. And when I say “elements”, I mean that in the most literal way possible. Everybody’s gone to the rapture doesn’t tell a linear, coherent story. Instead, it opts to feed you bits and pieces, breadcrums relating to a handful of characters, and lets you piece it together on its own. And like a lot of games, the pieces are a lot more colourful and interesting than the finished puzzle. If you’re playing this expecting a cathartic endgame, you’re going to end up disappointed. If you’re just enjoying the sights and taking the emotions in the way they come at you? You’re in for a treat. 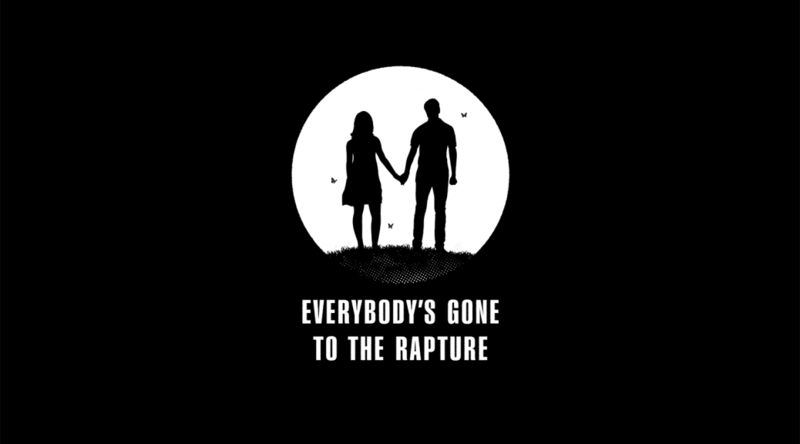 Everybody’s gone to the rapture is short – as is almost always the case with these games. But personally, I think it’s got precisely the length it should have. It doesn’t drag, doesn’t overtell its own story, and knows precisely when to call it quits. And frankly, if you’re fond of exploring, you can get way more mileage out of it than I have. In a world of endless collectibles and other doodads that trigger a sense of OCD I never knew I had, this game is a godsent, ideally enjoyed with or after a glass of good scotch. One of my texts got featured on the elhana project website. For those not in the know: elhana is a big brother project in the Berlin area, where you help out a kid with problems at school. I sat with Yussuf (not his real name) twice a week, from 2010 to the end of 2015, helped him with math and german and just the general facts of a elementary school kid’s life (Beyblades, Ninjago and divorce, mainly). And, because I’m me, I wrote a text about this experience. You can read the text on their site or on mine, whatever floats your boat. Working with Yussuf was a delight and an enrichment of my life. Ober the course of five years, I taught him how to play chess, and now I can’t even come close to beating him. I can wholeheartedly recommend this project. If you’re in the Berlin area and interested in doing something good on a small scale, give elhana a shout, tell them Bert sent you. Charlie: You’re working on an atomic bomb. Akley: We prefer to call it a gadget. I’ve got a thing for 20th century history. In fact, I think my favourite works of fiction revolve around recent history: The Amazing Adventures of Kavalier and Clay, Boardwalk Empire, Maus… Hey, my whole moving-to-Germany adventure? Started with Good Bye Lenin. Guess I’m kind of a nerd. So it’s surprise to precisely no one that I instantly fell in love with Manhattan. A show set in Los Alamos, the top-secret base where the Manhattan Project unrolled, starring the physicists that developed the bomb? If there’s an itch that can never get enough scratching, that’s the one. 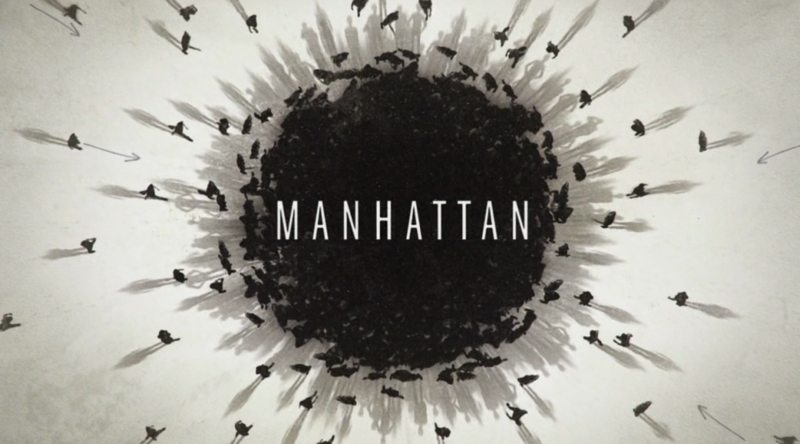 Manhattan revolves around Frank Winter, a brilliant physicist in charge of creating the atomic bomb. Surrounding him is a team of cracks – and their accompanying wives and children, who gave up their lives to follow their husbands to a top-secret city in the middle of the desert, not even knowing what their spouses were doing. The show’s a fantastic mix of personal stories and espionage, told against the backdrop of the biggest (and scariest) invention the 20th century has given us. season-two cliffhanger is one of the most cathartic TV moments of the year and one of my favourite scenes ever. So if you’re in love with big dramas in small settings revolving around huge explosions but not actually featuring any – this is your show!